We meet our friends by accident. NEW HARLINGEN LOCATION NOW OPEN! Use the buttons below to get google maps driving directions to our LaFeria location or give us a call. At Collision Stop, we understand how difficult it can be without your vehicle. We are an authorized repair center for most major insurance companies. Our office staff is committed to assisting you in every way possible. We will work with your insurance company and keep you informed on any significant changes in the repair of your vehicle. The Collision Stop staff has been through extensive in-house technical and service-oriented training in order to provide our customers with accurate estimates, quality workmanship and friendly, knowledgeable customer service. 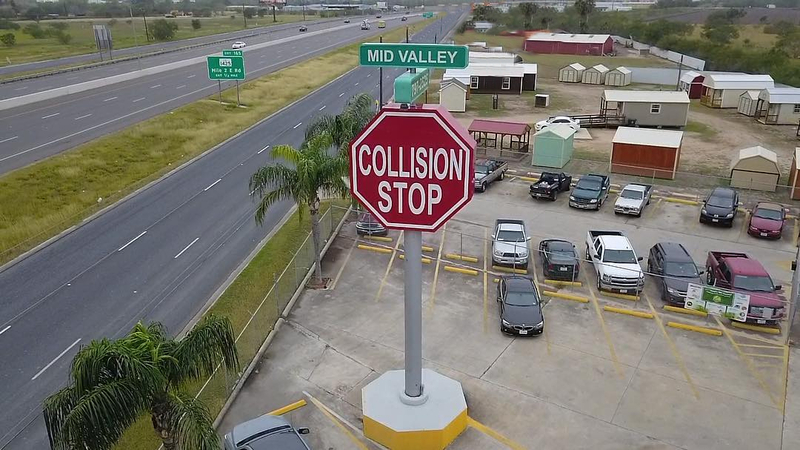 At Mid-Valley Collision Stop, we are constantly striving for 100% customer satisfaction. As a member of the business community, we adhere to a Code of ethics, our pledge to you of honesty, integrity, safety and craftsmanship. For us, Quality and Satisfaction is our most important goal. Collision Stop provides full collision repair services, restoring all vehicles back to their pre-loss conditions. We keep you up to date with your repair, and are known for our excellent customer service. Day-to-day tire treadwear causes changes in the distribution of weight around the tire and wheel assembly. Balancing your wheels minimizes potential vibration. 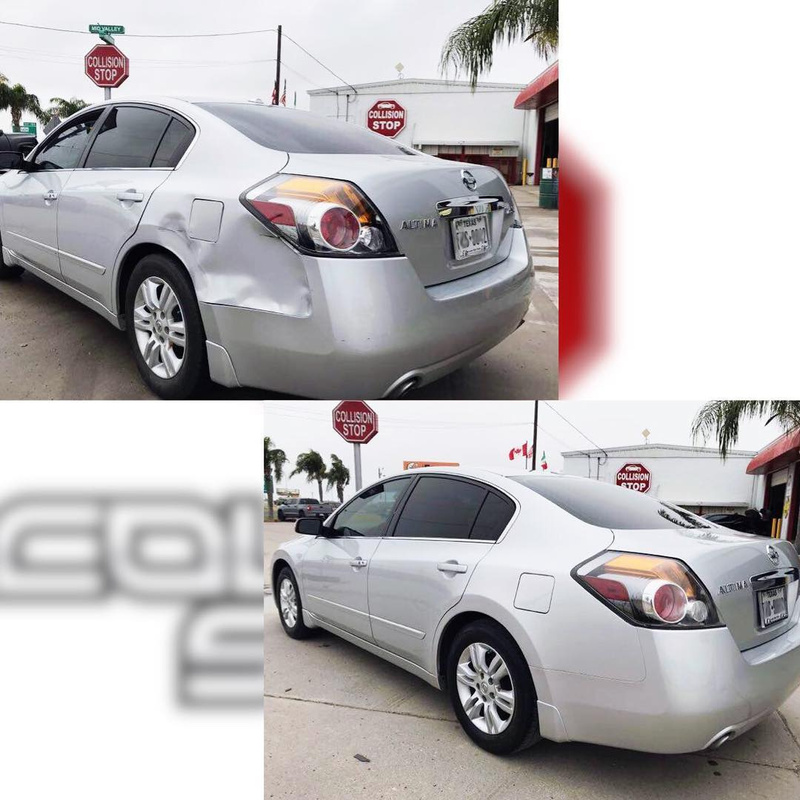 Collision stop provides custom paint dip jobs at our location in La Feria, TX. Have your vehicle color changed inexpensively and easily! Our business started in 1984 and has grown over time to meet out customers needs. We changed our name in 2007 , but kept the same family values. Our commitment has always been to serve our community with the highest quality repairs. Your safety is our top priority. We are constantly training and acquiring the latest equipment to repair our customers vehicles back to pre-loss condition. We realize that without you our business would not survive. We thank you and consider all of our customers as part of our family. The Collision Stop Team will help ou get back on the road. Use the following form to send a general question, comment or suggestion. Specialties: We specialize in auto collision repairs. Paint, body, & structural repairs. Dip services available.